Materials matter for so many reasons. 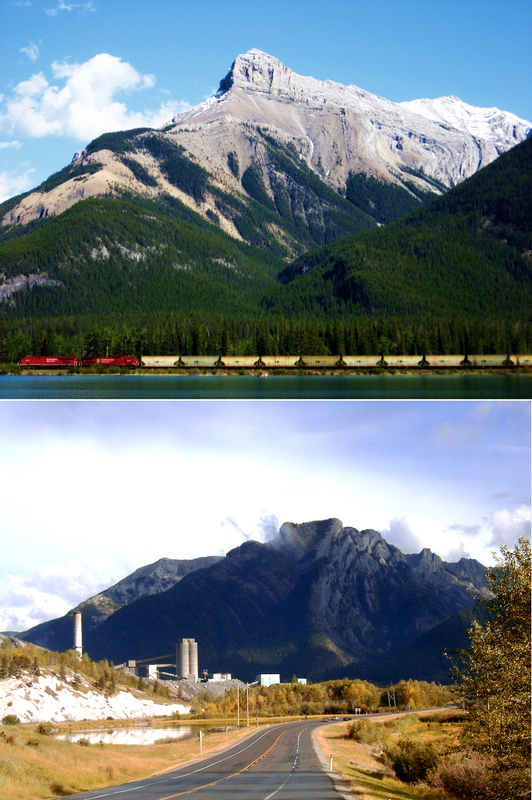 The economy of breathtaking Exshaw, Alberta, depends heavily on tourism as well as a cement kiln. The useful products and harmful emissions of building product manufacturing also contribute to global impacts, both positive and negative. Photos: Eric Lamoureux (above), CC BY-SA 2.0; Glen Larson (below), public domain. License: CC BY-SA 2.0. Here at BuildingGreen, we’ve been covering all aspects of sustainable building design since before LEED and other frameworks even existed. But we’ve always had a soft spot for issues relating to products and materials. In our publications, trainings, and consulting work, we have consistently come back to those issues more often than any other. In the early days, we were a little sheepish about that. Back then, we often noted that the big opportunities in building were about operations: energy use, water use, and indoor air quality. We felt that materials should usually be a secondary consideration. We secretly doubted whether our geeky fascination with cool new products and materials was of real value. We don’t think that any more! What changed? It’s all about the urgency of climate change and the other ecological imperatives we’re facing. As Ed Mazria has masterfully (and persistently) told us, we have to get our carbon emissions under control sooner rather than later (see A 2030 Challenge for Building Product Manufacturers). The calculations aren’t as clear-cut, but there is similar urgency about reversing the loss of biodiversity and natural habitat, and preventing the dispersion of hazardous substances throughout ecosystems. These issues are all interconnected. Climate change is exacerbating the loss of biodiversity, and the loss of biodiversity is affecting our ability to adapt to climate change. The same synergies exist with water and toxicants and solid waste. Stress any one aspect of the system, and the whole system becomes less resilient. Materials are so critical now because, when we build or renovate, the manufacture of all those materials releases a big plume of greenhouse gases and other pollutants. It will be decades before the emissions from building operations catches up, especially if it’s an energy-efficient project (see Building Materials and the Time Value of Carbon), and we don’t have that kind of time. For many organizations, this kind of save-the-planet thinking is among their aspirations, but their major focus is (appropriately) on more immediate and manageable bottom-line issues like attracting and retaining the best employees, and keeping everyone productive. So when it comes to looking at products and materials, they tend to focus first on the hazards and pollutants that affect indoor air quality. Those priorities could be in conflict with larger societal goals: if the industry as a whole foregrounds occupant health over other goals, that incentivizes manufacturers to create products that are cleaner for the end user, regardless of their overall footprint. But these priorities can also be leveraged to build pressure for change in critical areas. That can happen if we create frameworks to expose and reduce those hazards and pollutants wherever they appear in a product’s life cycle. Even better, we can develop a framework that addresses hazards in the context of a holistic assessment of life-cycle impacts. The effort that has to happen behind the scenes on creating such frameworks is complicated and challenging. But working together, we can find ways to express the results in ways that help designers and contractors make better decisions every day. That’s our opportunity. Embodied Energy--Just What Is It and Why Do We Care?